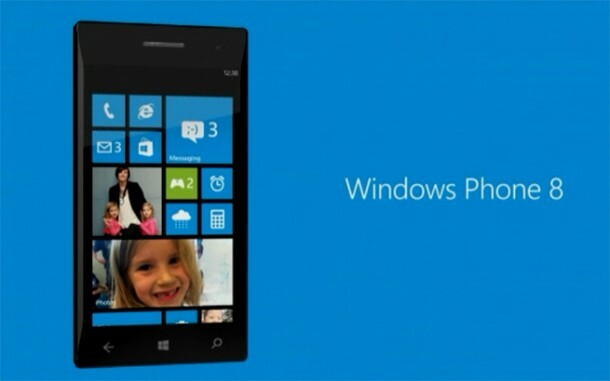 Microsoft just concluded the Windows Phone Summit, where it announced Windows Phone 8. The event highlighted only platform-level changes, not final end-user features, but there was still plenty to cover. Most significantly, Windows Phone is moving from the Windows CE kernel to the same Windows NT components underlying Windows 8. Windows Phone 8 features a revised Start screen with resizable live tiles, higher screen resolutions, support for removable memory cards, and more. Like Windows 8, the new phone OS will feature background multitasking for apps like VoIP services (e.g. Skype) and turn-by-turn GPS navigation, along with native C/C++ code support and NFC. However, all the changes mean that no current Windows Phone 7.x handsets will support the new OS. 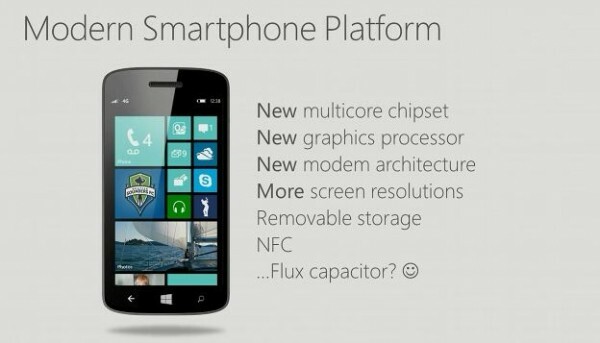 Microsoft will release a Windows Phone 7.8 update, though, to add the new Start screen to WP 7.5 phones. Windows Phone 8 will move from the Windows CE kernel (which all previous versions of Windows Phone and Windows Mobile used) to the same Windows NT platform underlying Windows 8. It’s pretty clear that Microsoft now considers the phone OS a first-class member of the Windows 8 family (whereas Windows Mobile was always given the stepchild treatment), and it will now essentially be a variant of Windows RT (the ARM-processor version Windows 8). One of the benefits of switching from Windows CE 6.x (well, some sort of 6.x/7.x hybrid) to the Windows NT kernel is that Windows Phone 8 gains advanced multi-core processor support. 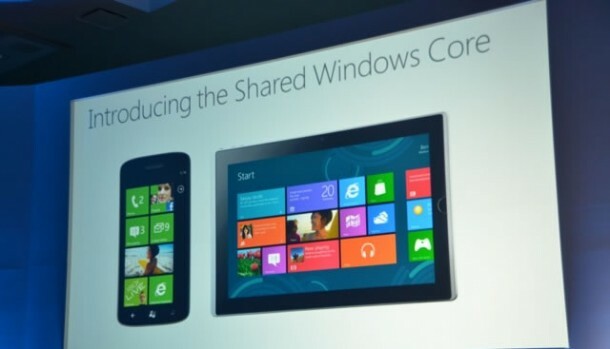 Windows 8 currently supports up to 64 cores, and so will Windows Phone 8, theoretically. 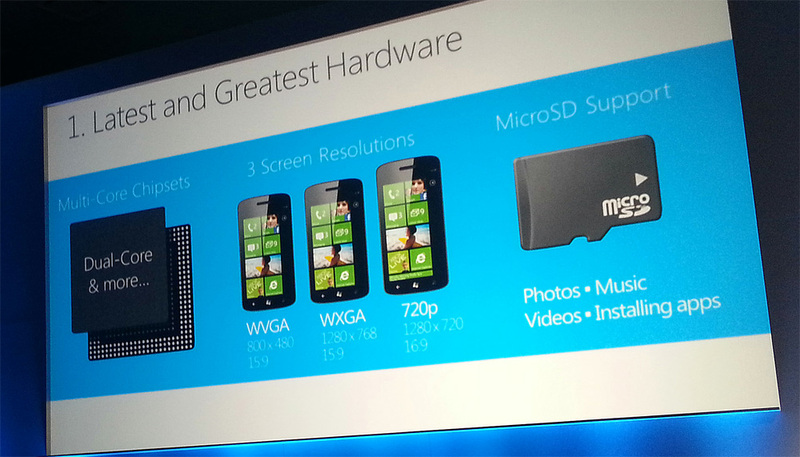 The first set of WP8 phones will have dual-core processors (most likely Qualcomm’s Snapdragon S4), while next-generation designs launching later in 2013 will have quad-core CPUs. Windows Phone 7.5 has multitasking support, but apps are only allowed to perform periodic services when in the background. This meant that, for instance, if you were on a Skype call and switched away to read a text message, the call would end, or if you were getting turn-by-turn directions to drive someplace and switched away, the directions would stop. 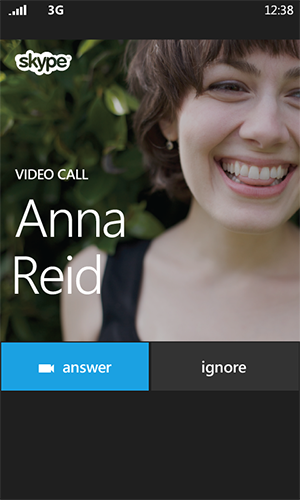 Windows Phone 8 addresses both of these scenarios– Voice over IP (VoIP) calling apps (for voice and video chat) are now deeply integrated, so they’ll feel just like normal phone calls coming in, and the new background location feature will let navigation apps continue to provide live directions while in the background. Windows Phone 7.x supported only WVGA (800 x 480) resolution screens, to ensure a simple, consistent environment for developers. Now Microsoft is adding two more resolutions, WXGA (1280 x 768) and 720p (1280 x 720), meaning all Windows Phones will continue to have widescreens (either 15:9 or 16:9). These are sufficient today, but given phone hardware trends, Microsoft might want to add some higher resolutions soon. Just as the Shared Windows Core means that all Microsoft platforms will run on the same under-the-hood components, the Metro UI from Windows Phone 7 has been adopted for front-end UIs across the company, from Windows 8 to the new Xbox 360 dashboard. No more empty space: WP 7.x featured an empty space on the right side, which is now gone. 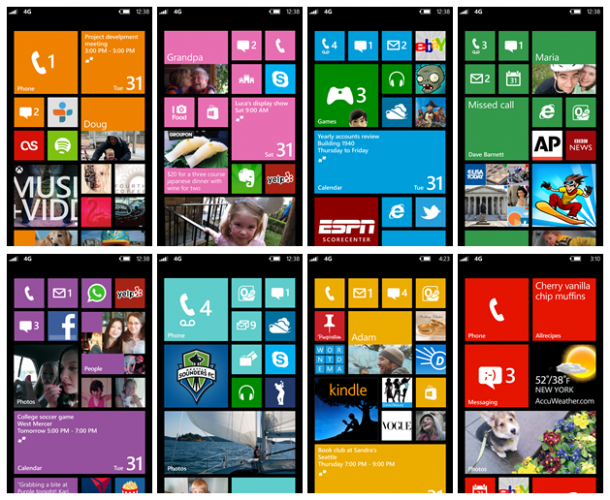 Resizable tiles: WP 7.x featured fixed tile sizes: third-party apps were a large square, and certain Microsoft / OEM / carrier apps could be in a double-wide rectangular size. WP 7.8 and 8 allow all tiles to be customized to use any of three sizes: the existing two, along with a smaller, quarter-size square. More colors: Microsoft is adding more foreground accent colors, though unlike desktop Windows 8, the background will remain either black or white, and individual apps won’t be able to change their colors independently. Windows Phone 8 will support removable MicroSD memory cards and will allow users to install app to the card instead of to the phone’s internal storage. What’s more, Microsoft mentioned that users will be able to distribute apps and multimedia content on cards — quite a different model from Windows Phone 7.x, though the company hasn’t yet detailed how this will work. 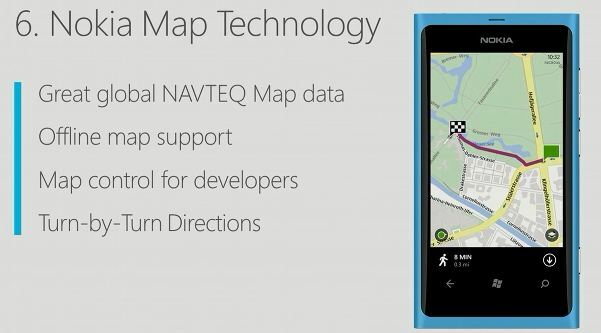 Windows Phone 8’s Maps app will include Nokia’s NAVTEQ global map data, offline mapping, turn-by-turn navigation (for many countries), and a map control for developers to integrate into their apps. WP8 includes Internet Explorer 10, featuring the same web browsing engine as in Windows 8’s IE10 Metro browser for PCs and tablets. 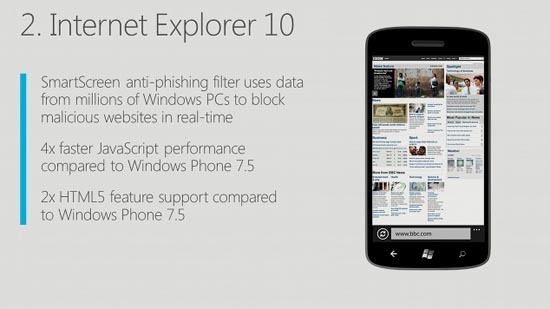 The mobile browser also gains the desktop browser’s anti-phishing features, like the SmartScreen Filter. Microsoft demonstrated its new NFC-based Tap + Send technology. Basically you can share anything from a phone to a different device (e.g. a laptop, tablet, or other phone with NFC support) by just touching “tap + send” in the Share menu and tapping the phone to the other device. Support for native C / C++ development, with the DirectX/Direct3D APIs, will make it much easier for cross-platform apps and games and will bring third-party gaming middleware platforms like the Havok Vision Engine, Autodesk Scaleform, and such, to Windows Phone. Microsoft also announced that it has ported the open-source SQLite database engine to Windows 8 and Windows Phone 8, made possible by the new native code support. Windows Phone 8’s new Wallet hub allows central storage of debit and credit cards, coupons, boarding passes, and the like. When paired with a secure SIM and NFC, the Wallet hub allows users to tap their phone at a retail checkout counter for mobile payments. Wallet allows integrates into third-party apps for in-app payments (finally!). Current Windows Phones have to be updated by connecting a PC running the Zune desktop software. Microsoft announced that all updates for Windows Phone 8 will be delivered directly to the phone over-the-air, and that phones will be provided with updates for at least 18 months after launch. Most interestingly, enthusiasts will be able to register with Microsoft to receive software updates before the general public does. Windows Phone 8 will launch in late 2012 on phones made by Nokia, Huawei, Samsung, and HTC, all based on a Qualcomm chipset (likely an S4). The devices will be availalbe in over 180 countries, with support for 50 languages. In the US, the phones will be sold through AT&T, T-Mobile, and Verizon (Sprint currently has no comment) in late 2012. Microsoft announced that the Windows Phone Marketplace now has over 100,000 apps. Given that this was a developer-focused event, Microsoft has yet to present most of Windows Phone 8’s end-user features. The company plans to release developer tools and hold developer events later in the summer, before a full launch presumably sometime in fall 2012.